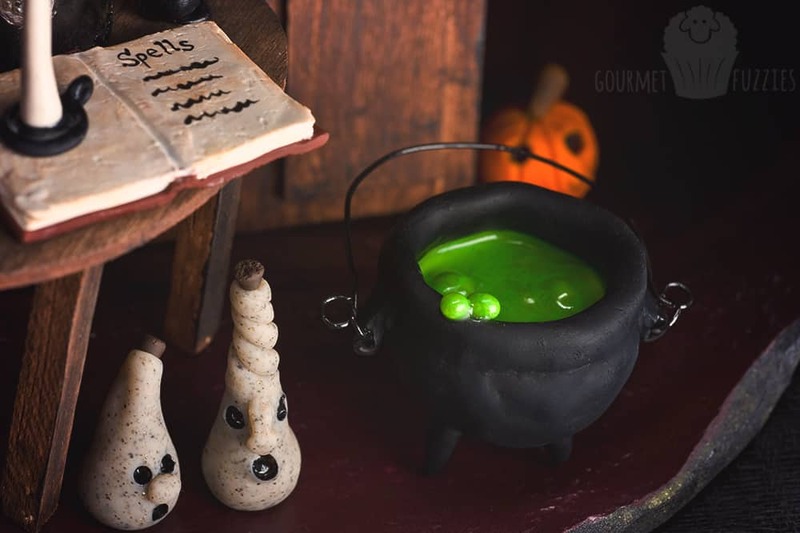 Witch's Kitchen #TrickYourPumpkin - The Petite Provisions Co. 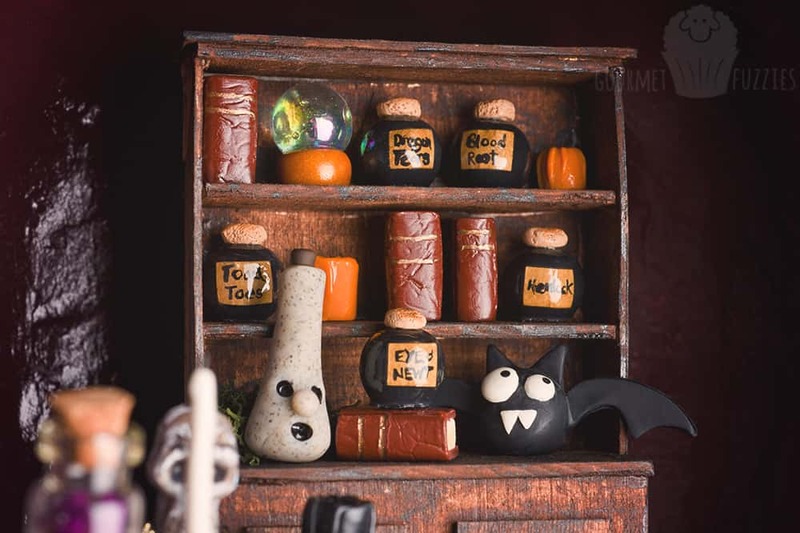 This is a slight departure from my usual needle felting projects, but with Halloween right around the corner, I figured it was apropos! 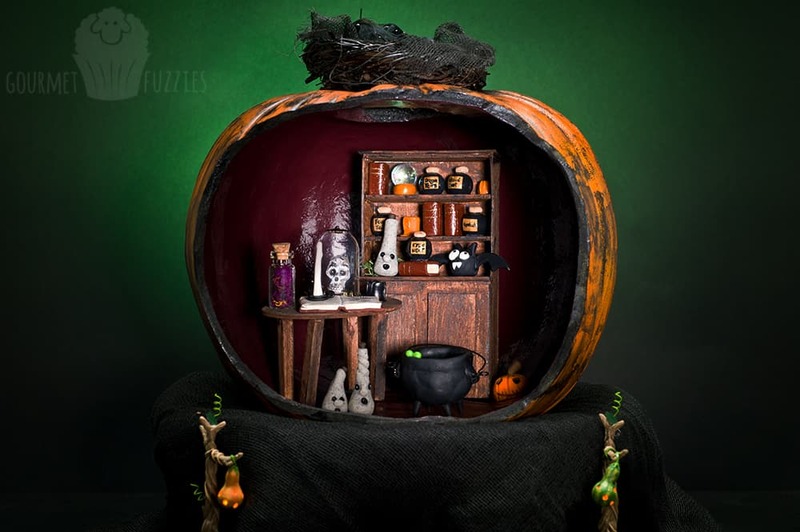 Michael’s is having a #TrickYourPumpkin contest, so this pumpkin diorama with a witch’s kitchen inside is going to be my entry! I took a craft pumpkin and carved a large opening in the front. I painted the inside a deep purple and distressed the outside of the pumpkin with black paint. 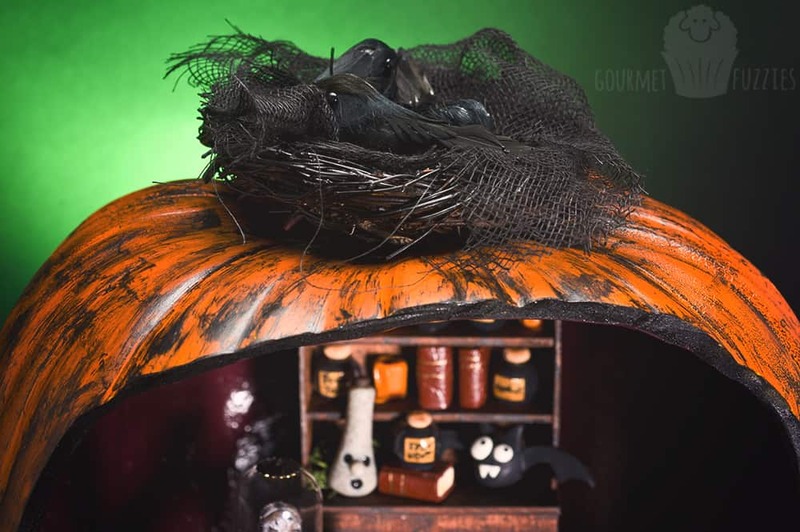 It has a little raven’s nest perched on top, and the whole pumpkin is resting on top of a cake stand draped in black cheesecloth. 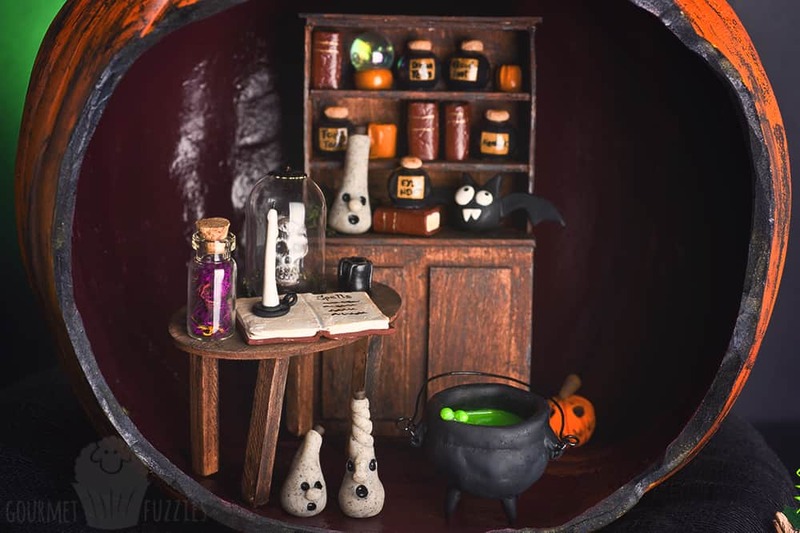 Inside the witch’s kitchen, there’s a little table and a hutch featuring polymer clay miniatures I made: potion bottles, a crystal ball, spell books, candles, face jars, a bat, a pumpkin and more! 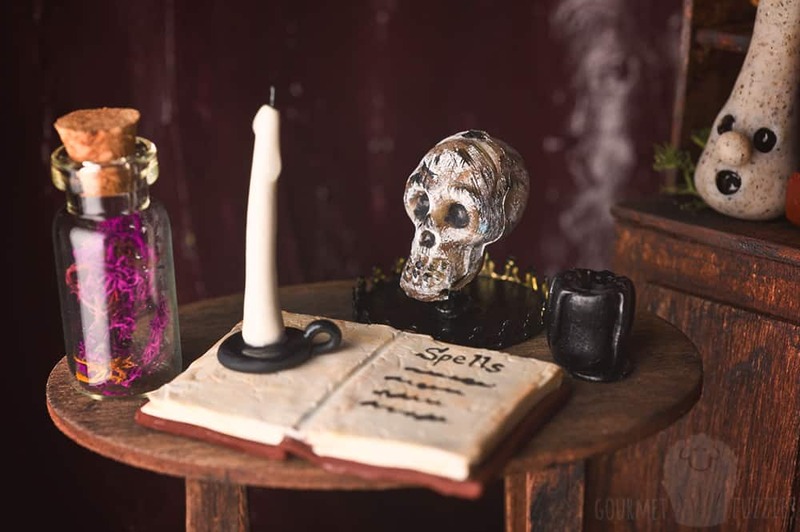 I hope you enjoy this little Halloween scene!